Semple Stadium – Duggan Brothers Ltd. 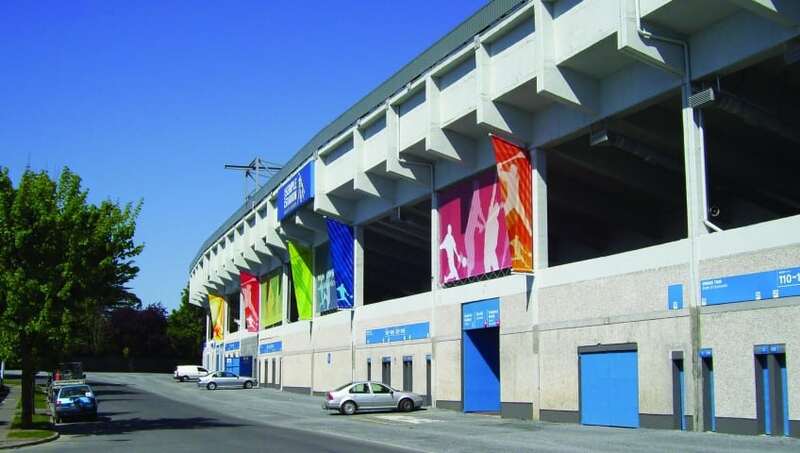 This Project completed in two phases consisted of the upgrade works to elements of Semple Stadium and included concrete repair works to the main structure of the Kinnane Stand together with a major refurbishment of the associated facilities and services. The works also included extensive siteworks, drainage, services, paving and landscaping through the contract. Phase 2 works consisted of the construction of a multi-purpose Sports Building; along with the construction of a Tickets, Toilets & Concessions Building; a Sanitary & Services Building; the installation of 4 major Flood-Lighting Masts including Lighting; together with the refurbishment of existing Toilets & VIP Rooms, the construction of an external Canopy, along with demolition works & the construction of new Turnstiles & Enclosures, and modification of Seating and the Soffit of the O’Rian Stand. The refurbishment of the existing Town End’ Terrace Toilets, and associated Services & external Works are also included in this second phase upgrade construction project. The works also included extensive siteworks, drainage, services, paving and landscaping through the contract.